Written exam: Versus (communication) _ Mathias Vestergaard Corp.
For this project, I will utilize theories from Niklas Luhmann, Ludwig Wittgenstein, Erving Goffman, William Labov, David Fanshel and Robert Nofsinger. 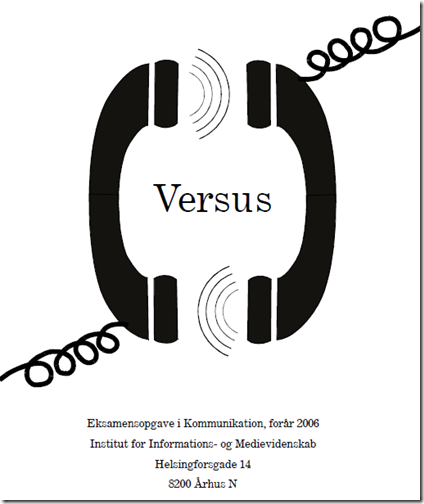 Practically, this paper analyzes phone conversations from the satirical TV program “De Uaktuelle Nyheder” with Mikael Bertelsen. This paper was written in collaboration with Lassegruppen.